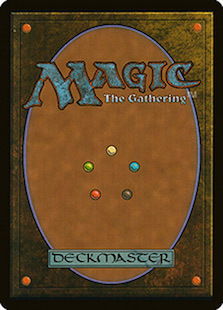 My name is Jens Jaeger and I’ve played Magic since 1995. 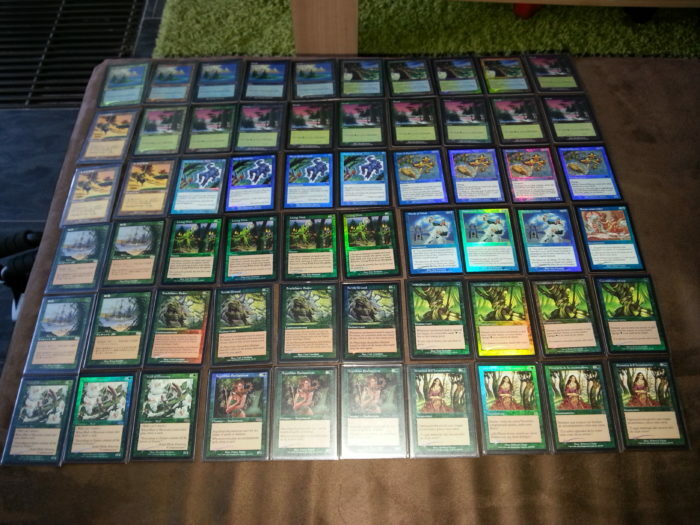 I bought a lot of Ice Age boosters, I bought a lot of Homelands boosters—and I never really got away from this game. Back in my school days I played a lot, two drafts and one or two constructed events per week. It was a fun time, but without huge success (my best achievement was a win in a regional qualifier in 2006, going undefeated in nine rounds and qualifying for the German Nationals). There was a period when I didn’t play the game any more but luckily I never sold my cards. (They are the best shares I ever bought). But even when I don’t play, I build decks all the time. I must say that I don’t like tournaments a lot. There are of course many friendly people, but in competitive Magic there are also just a lot of unfriendly, not-so relaxed people. So I kept brewing and collecting. I always tried to play some fringe random decks with some major or minor success. From there it was just a small step to the world of Premodern. Hello again my old friends. Pros-Bloom (my very first tournament deck, you see where my preferences laid), Enchantress, Sligh, Trix… so again a lot of decks in my wardrobe but no tournaments to play. But here comes the new hope! Flippi Böhm, an old friend of mine and former team partner (maybe you heard of the famous TEAM N!, inventers of the glorious Nefarious Lich deck in all formats? No? 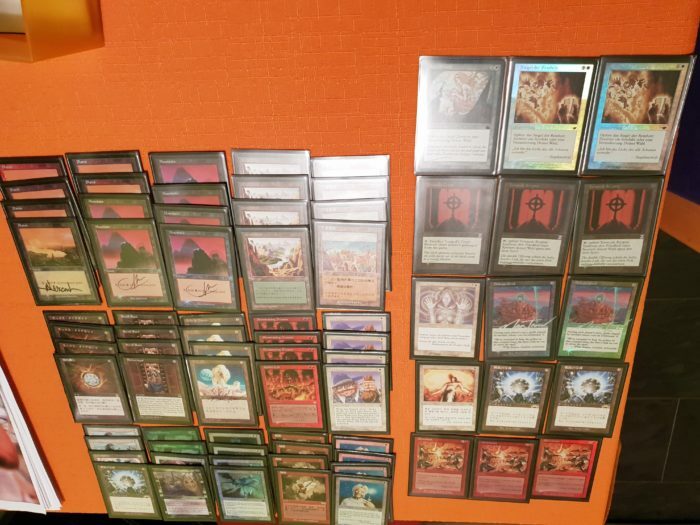 Ok, no one heard of them…) organized the first German Premodern Championship. In Darmstadt, the town next to my homeplace. At the shop of another friend of mine, Jens Arndt. Yeah, playing old cards and nearly no driving? Count me in! But what to play? My first desire was to play UG Enchantress (see pic), an old love of mine. But with the rise of Pink Prison I even learned that Aura Fracture existed! Not to speak of Abolish and Aura of Silence—oh no! My second take was to play Pink Prison (see pic 2) myself, because I like RW and have most of the cards. 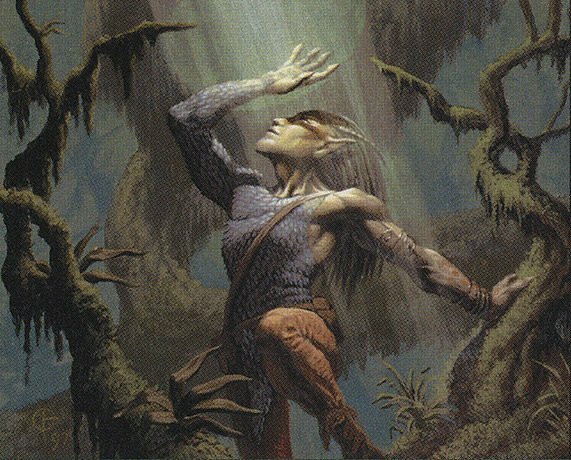 I play a lot of Lands in Legacy and therefore I like Gamble, Rishadan Port and Mox Diamond. But the games felt so… clunky. A great deck, but not my deck to play at all. Luckily, at the morning of the tournament my missing Horn of Greed arrived one hour before I had to leave! So I changed my deck in the last moment, to UG TurboOath (see pic 3). Exploration is one of my all-time symmetry-breaking favourite cards. I used the deck that won the European Championships as a template, played by the cool New Zealand guy Gene Brumby. 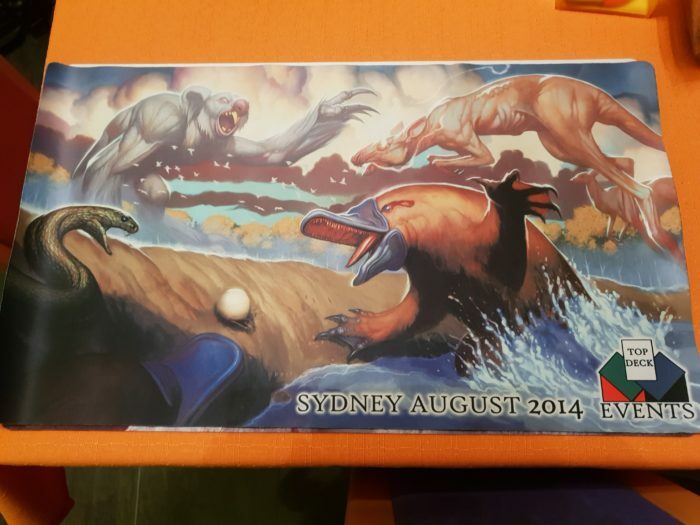 Sorry for using your deck with an Australian playmat (see pic 4), dude, but Australia is my favourite country, looking forward to be there in a month again! Any love for platypuses here? As for my changes to the deck, I cut the fourth Impulse for the third Arcane Denial because I felt it was too soft on counters, swapped a Forest for a second Treetop Village and did some minor sideboard changes. The second Spike Feeder became an Ancestor’s Chosen which should be great against aggro. The tournament had around 20 participants, meaning five rounds of Swiss followed by a top 8. There were some known faces like Julian, some people from the Facebook group and a lot of good players. A strong field. Here I recognize that I am not really aware what I am doing and how I should sideboard. Never go unprepared in a tournament? Haha, tournaments are for testing decks! 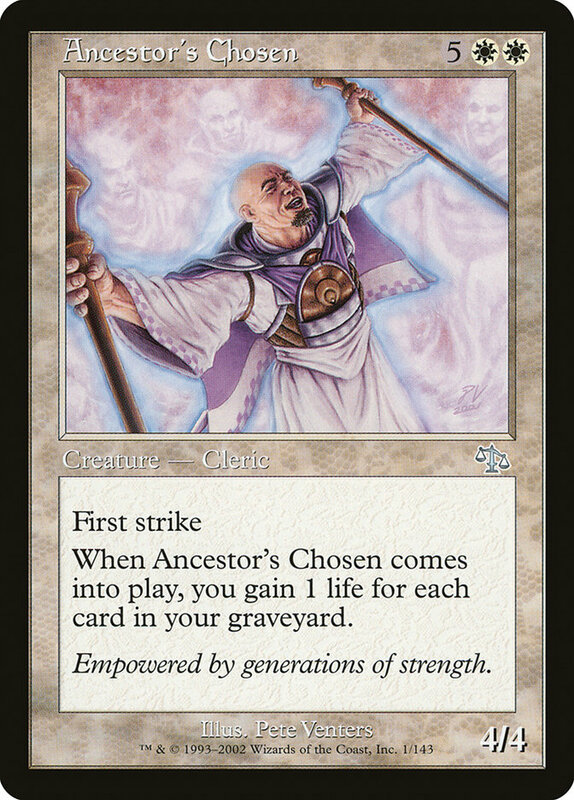 In game 2 he had a quick Phyrexian Dreadnought + Stifle, I had a quick Oath of Druids into Ancestor’s Chosen into 54 life. I could race him with the Ancestor’s Chosen and two Treetop Villages after casting Naturalize on the Phyrexian Dreadnought. We didn’t have much time for the third game, but nothing too special happened—I took a lot of turns and beat him down with Morphling. Karl was a poor guy because I gave him some random chat about his name (the event was held in Karl street, so he had an unfair home turf bonus). Sorry for that dude, I just like random name droppings. 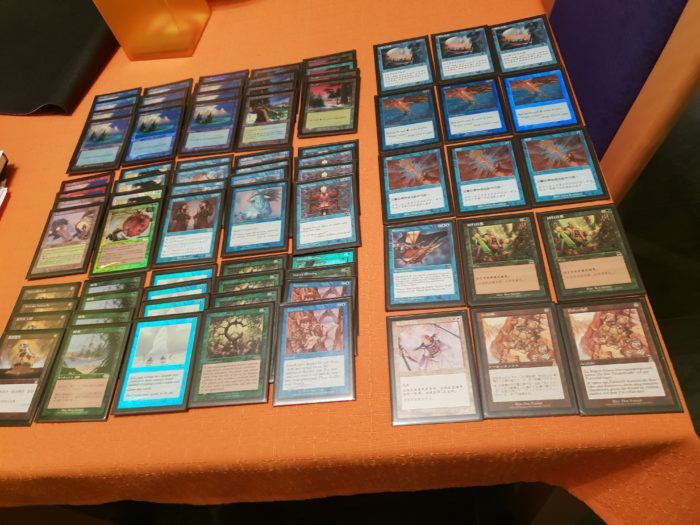 Karl started with Savannah Lions and I remembered that there is a Zoo deck in the format. First I thought that this could be good for me as I had Oath of Druids turn 2, but one of his four (!) maindeck Wax // Wane took care of the Oath, so the Rancored Savannah Lions finished me off with the help of some burn. Game 2 was easy thanks to a quick Oath of Druids into Ancestor’s Chosen, gaining about twenty life, riding down backupped by some Time Warps. Game 3 was something back breaking like Red Elemental Blast on my Counterspell on his Wax // Wane, targeting my Oath of Druids. I think that Savannah Lions, Jackal Pup and a pair of Rancors killed me. After the match we chatted a little bit about the format, which he had tested quite a bit, and about his three-color beauty of a deck. He had worked a lot on the manabase and he said that he usually beats Oath. Ok. Nice guy, and he made Top 8. He also said that I was the only one who did not laugh about his deck. Finally the games I enjoyed the most. Hard control decks, counter wars and end of turn action. The first game ended after 35 minutes—end of turn Intuition for three Exploration, then Exploration, Gush and Horn of Greed was just too much for him. I had a lot of fun and this was a fantastic well played game by both of us. I like cutting all but one Oath of Druids. They are ok when the opponent has to cycle Decree of Justice for less than enough to kill you, in which case you can “counter” it with Oath. For the second game we both brought in Powder Kegs. He Keg’ed my Treetop Village, I Keg’ed his Mishra’s Factory, we both countered everything relevant and the extra turns ran out, but my opponent politely conceded so that I could win 2–0 instead of 1–0. You can see a version of this archetype on the decks page. Raphael is another great friendly guy, long hair, long beard, metal up your life. He started with turn one Intuition for three Altar of Dementia, followed by a second turn Gamekeeper, into a turn three Altar. I could either bounce the Gamekeeper or counter the Altar of Dementia. I decided to counter. He then played the fourth remaining Altar from the hand which he drew just this turn. I was a bit disappointed for my wrong decision, and then he tried to mill me. You know playing Magic and seeing things like in a tunnel? 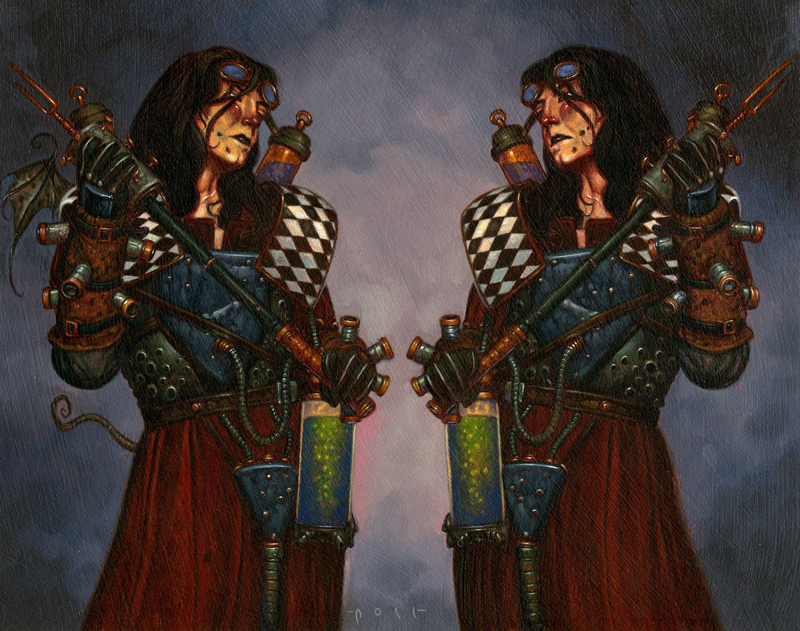 Before I could concede I remind both of us that I play two Gaea’s Blessing! The organizer Flippi, who is also a judge, told us exactly how the interaction works, so we stopped the loop and went on to game 2. Game 2 was mainly the same, he desperately tried to catch my Morphling with Abduction with some blue mana free. His deck just couldn’t beat Gaea’s Blessing. Result: 2–0. Wohoo, top 8! Top 8? Not yet… My opponent was the only undefeated player and on top of the standings, whereas I was third. But prize boosters would be picked based on the Swiss standings, so he didn’t want to draw. So I had to play, in fear of slipping out of the top 8. I Annuled his first Survival of the Fittest. He could not believe that Annul counters enchantments too, because I have Asian Annuls, but after a short judge call we could clarify this. The rest was pretty quick and dirty again, and after about ten minutes I think my chances ran away. Luckily, I still ended up in fifth place after the Swiss, since I lost against first and second seed. I get a nice English Visions booster as a prize for my standings, and I am still unsure if I should open it or let it stay unopened and mystical. The bad thing about this was that the better placed player from the Swiss got to choose who will start. And in all three games he had first turn Mox Diamond and Land Tax. In the first game I dropped behind too quickly to recover, with an Armageddon as the nail in the coffin. The game went long and my Morphling got hit by Swords to Plowshares because I had to counter stuff, so there was not too much I could do. The second game went much better. I could Annul both Land Tax and Scroll Rack. I took three extra turns with Time Warps, which unfairly got removed by Tormod’s Crypt, so no loops with Oath of Druidss and Gaea’s Blessing, but good ol’ Morphling beats got him. Result: 1–2, over and out. P.S. I loved the deck, but I would change some things after the event. First of all, Spike Feeder felt weak and I boarded him out most of the time. Second, Annul really shines, and perhaps a fourth one would be great. And this deck needs another quicker wincon. Maybe Cognivore and Krosan Reclamation or just a dumb fatty protected by counterspells. Verdant Force I look at you (editor’s note: that should be fun with Oath of Druids).